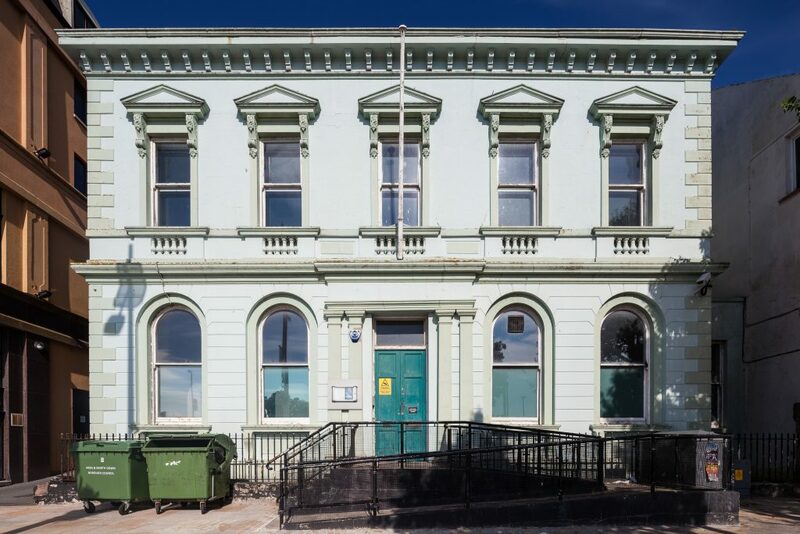 This fine building, formerly a bank and, since the 1950s serving as Bangor Court House, is a two-storey, five bay building in Italianate Classical style built in c. 1866 to accommodate the expanding population resulting from the arrival of the railway in 1865. Built in the wake of the construction of the similarly styled Italianate, Charles Lanyon designed, Belfast and County Down railway station it is indicative of Bangor’s rising sense of status and civic pride. Located to the East of Quay Street in the centre of Bangor, where Patton (1999, 169) comments that it was “very sophisticated for the Bangor of its day”. The ornate building comprises of round-headed windows to the ground floor, rectangular at first floor with balustrade bases and bracketed pedimented tops. The entrance hosts a Tuscan doorcase with paired pilasters, quoin-stones, bracketed cornice, a three-panelled double leaf timber door is still in-situ with plain transom light. The roof is a hipped natural slate roof with painted render chimney stacks where cast-iron ogee rainwater goods with hoppers on projecting corbelled eaves are present. 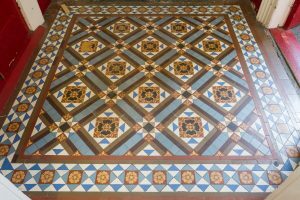 The building has had several uses in its lifetime where it originally served as the Belfast Bank and replaced the premises belonging to the former Ulster Mining Company then used as a store for lead ore. 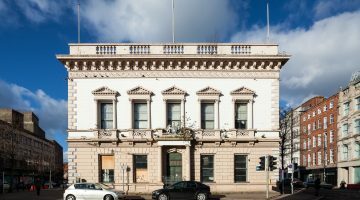 However, in 1952 the Belfast Bank Company, moved to its current premises in the former Market House in Bangor and at the same time the court, which had occupied Dufferin Hall on Hamilton Road, moved to these premises. Having operated as a Petty Sessions Court House for over 60 years the court was finally decommissioned by the Northern Ireland Tribunal Service in 2013 as part of a cost cutting programme. Since decommissioning the building remained vacant and underused and subsequently added to the Built Heritage at Risk Register (BHARNI). 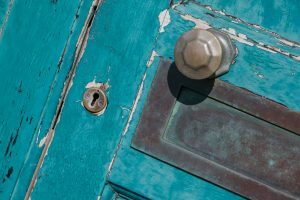 Now the building is set to be transferred to those behind Open House Festival (OHF) as part of a Community Asset Transfer (CAT), which will see OHF lease the building for 18 months before transfer of full ownership. During the lease phase OHF will trial a range of meanwhile uses for the building to test which will stand up as proof of sustainability for their business model. Speaking with Alison Gordon, Festival Manager she commented that the restoration of the building “hopes to bring the building back to its former glory while providing office space for the festival and other local enterprises, as well as hosting a year round programme of artistic and cultural activity, from pop-up restaurants to music, film, theatre and spoken events, and open air artisan markets in the rear courtyard.” The asset transfer will be the first ‘nil cost’ transfer of a property of its kind in Northern Ireland and highlights the possibility that, with the right ethos and vision for a project, it is possible to bring unique buildings into community use. The OHF have secured funding for the first phase of their project through the Heritage Lottery Fund Enterprise Grant, Architectural Heritage Fund, Ulster Garden Villages, as well as fundraising through crowd funding. While the beginning of this new chapter for the Court House is in the early stages, it is clear that a new life for this building will undoubtedly aid the regeneration of Bangor and create a hub for the community in the heart of the town. The support through Community Asset Transfer represents an investment in heritage regeneration and potential positive social, economic and environmental outcomes for both OHF and the Tribunal Service by finding a creative use and future for a landmark historic building.